The general rule is that out of 100 new ventures, perhaps 50-60 will shut down by year 2, may be 20-30 will survive with their heads above water or at a lower scale than the aspiration was. May be 8 – 10 will be reasonably successful and may be 1 or 2 of these 100 startups will be ‘very’ successful. 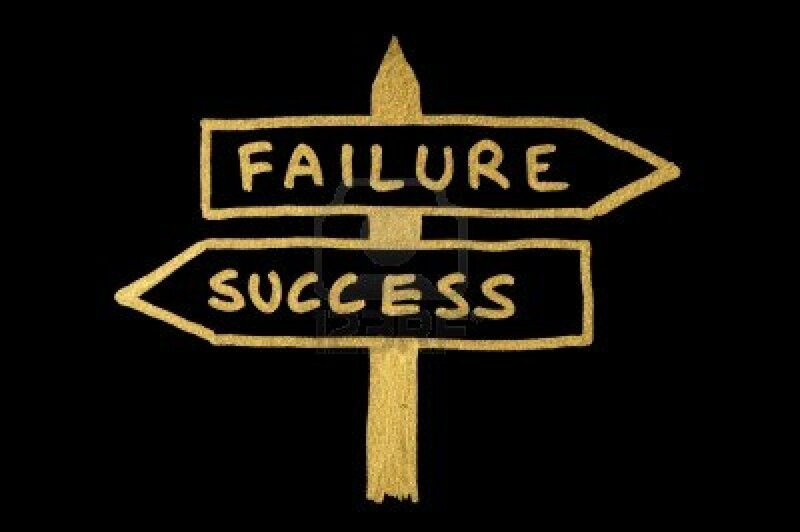 Just because a venture is not successful or shuts down does not mean that the entrepreneur has failed. It just means that this particular venture did not succeed. Simple. Of course, aspire for success. But remember, there is no shame in having tried and not succeeding.Like everyone will advice you not to let success go to your head, remember to not let failure deter you. Understand and evaluate your appetite for risks. Not just financial risks, but opportunity costs as well. Evaluate what the upside of success is and measure it against the risks. See if it makes sense. More importantly, DO NOT start up on the basis on just your enthusiasm. Validate the concept with your potential customers/consumers, seek mentors who can guide you, seek advice and guidance in building a good business pan and see if the concept has a good business case. Remember, entrepreneurs are NOT people who take unnecessary or unplanned risks. Good entrepreneurs make efforts to evaluate all the risks associated with a venture and take necessary steps to mitigate the risks. Yet, you can fail. And it is all right. Plan for how you will deal with failure too. Failing or shutting down is not the end of your professional or your entrepreneurial journey. It just means that there could be a diversion from the originally intended path. Next Next post: What is the difference between a CEO and a Chairman of the board?